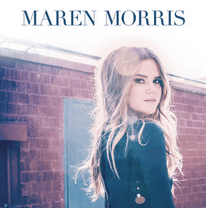 New country artist Maren Morris has released her self-titled debut EP! In recent years, Morris has established herself as one of Nashville’s brightest new songwriters, writing tracks including Tim McGraw’s ‘Last Turn Home’ as well as Kelly Clarkson’s ‘Second Wind’. She is set to open for Charles Kelley on ‘The Driver’ tour, Kelley’s first trip on the road as a solo artist. Check out her EP!